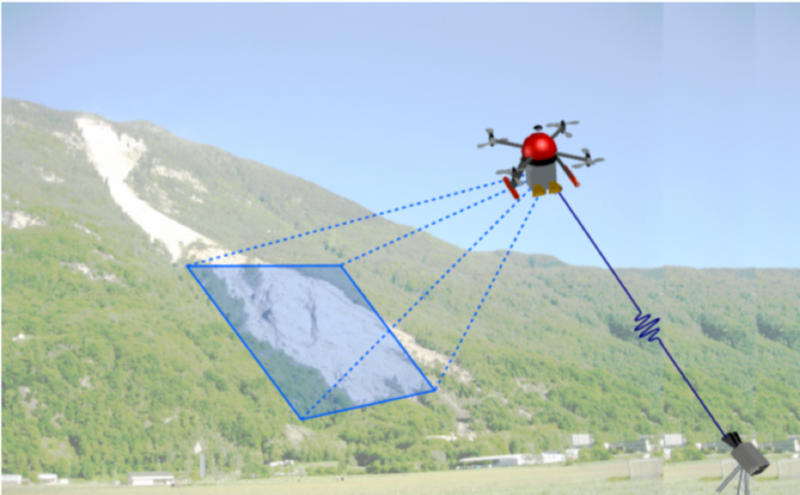 The patented invention is a ground-based synthetic aperture radar (GBSAR) that makes use of drones (UAV) to realize the opening synthesis without weighing the aerial vehicles used. The patented radar is ground-based but it exploits the transponders mounted on one or more drones to realize the synthetic opening, so it does not require the movement of the structure on the ground. The main advantage of the solution is the use of very small UAVs with extremely reduced payload. SAR radar usage in contexts with significant risk of loss of the drone.